What a great time to live in Southdowns ( a neighborhood in Baton Rouge, LA). The weather has gotten a little cooler and LSU Football is BACK!! With such beautiful weather, and Southdown’s convenient location to the LSU campus, many residents ride their bikes to campus on LSU gameday and some even walk to join the festivities. Still others like to take their own vehicles to campus filling up cars and trucks with Tiger fans and some towing trailers for tailgating. 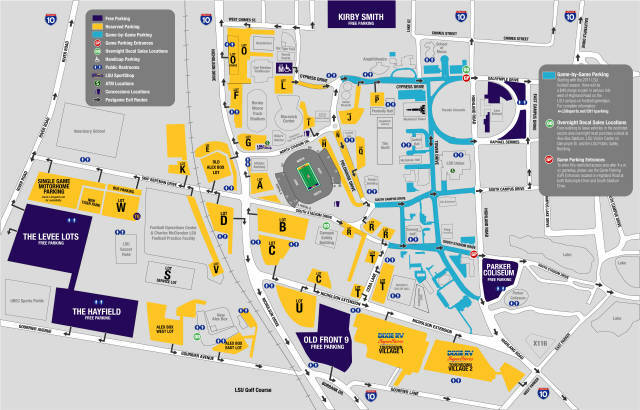 Before you head out to the game Saturday, it is important to note the changes in the 2011 LSU parking schematic. Follow the attached link to watch an 8 minute video about these changes. If you are thinking about locating to the Greater Baton Rouge area or might be considering Southdowns, please feel free to give me a call at 225-938-8229 or visit www.callChristopher.com to set up your customized MLS home search.